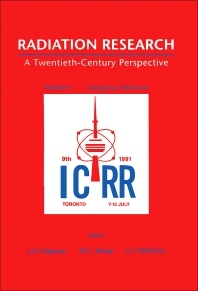 Radiation Research, A Twentieth-Century Perspective, Volume I: Congress Abstracts is a collection of abstracts presented at the Ninth International Congress of Radiation Research convened in Toronto, Canada, organized by the Radiation Research Society and the North American Hyperthermia Group at the invitation of the International Association of Radiation Research. The Toronto venue for this congress recognizes a major role by Canadian scientists in the field of radiation research and also the strong participation of Canadian scientists in the North American Radiation Research Society. Original science is shared at these Congresses through Congress lectures, symposia presentations, and proffered papers. The Congress Board of Directors adopted a proposal that all abstracts of scientific presentations should become a permanent record of the official proceedings of the Congress. In a manner somewhat analogous to the Canadian postal code system, each abstract in this volume is identified at the top left hand corner by a code consisting of both letters and numbers printed on three lines. Line one consists of one letter and two numbers that uniquely identify each scientific event. The second line consists of a double digit number that designates the sequence of presentation within the specific scientific event. The third line consists of a double letter code in which the first letter indicates the day of the week on which abstract material is presented and/or discussed, and the second letter indicates a morning or afternoon session. L-10 Debate—Are DNA double-strand breaks the only lesions that kill mammalian cells exposed to ionizing radiation?